In case you missed it, I just shared an in-depth blog post about my forthcoming cookbook, The Vegan Instant Pot Cookbook: Wholesome Indulgent Plant Based Recipes. To say thank you and to get you excited about this book (*even more excited than you already are*), I’ll be sharing a handful of recipes from the book before it’s released on June 11! These recipes will live on the blog, and I’ll be announcing them via my newsletter, so make sure you’re subscribed to the blog to get notified! The first recipe I’m sharing is for dessert because let’s be honest, I LOVE dessert. And I LOVE making desserts in the Instant Pot because pressure cooking results in evenly cooked cakes and breads without requiring you to constantly check your oven. If you want to keep this bread nut-free, simply omit the walnut streusel, or replace the walnuts with pumpkin seeds! I really hope you enjoy this recipe for Instant Pot Banana Bread with Walnut Streusel! If you try it out, please leave me a comment below. And don’t forget to pre-order your copy of my cookbook today! Grease a 7 3⁄4 × 3 3⁄4-inch loaf pan or a 7-inch springform pan with cooking spray or oil and sprinkle with a spoon of our. Shake to evenly distribute the our and set the pan aside. In a medium bowl, whisk together the 1 1/4 cups flour, baking powder, baking soda, and salt. In a large bowl, whisk the melted coconut oil and sugar until incorporated. Stir in the room- temperature almond milk, flaxseed meal, and vanilla until well combined. Gently stir the dry ingredients into the wet ingredients with a wooden spoon or silicone spatula until just combined, taking care to not overmix. Fold in the mashed bananas with a silicone spatula. Pour the banana bread batter into the prepared pan and cover the pan tightly with foil. On the counter, carefully place the pan on top of the steamer rack (with the handles facing up). Pour 1 cup of water in the inner pot of the Instant Pot. Carefully lower the pan into the inner pot using the steamer rack handles. A loaf pan will fit very snugly. Secure the lid and set the Pressure Release to Sealing. Select the Pressure Cook setting at high pressure and increase the cook time to 50 minutes. Meanwhile, prepare the Walnut Streusel: In a small bowl, mix together the oats, walnuts, flour, cinnamon, and salt. Pour in the melted coconut oil and maple syrup and fold in with a silicone spatula to evenly combine. Once the 50-minute timer on the Instant Pot has completed and beeps, allow a natural pressure release. Wearing oven mitts, grasp the steamer rack handles and carefully lift the pan out of the Instant Pot. Carefully remove the foil cover without dropping condensation on the bread. Insert a toothpick to ensure the bread is done—it should come out with a few moist crumbs. 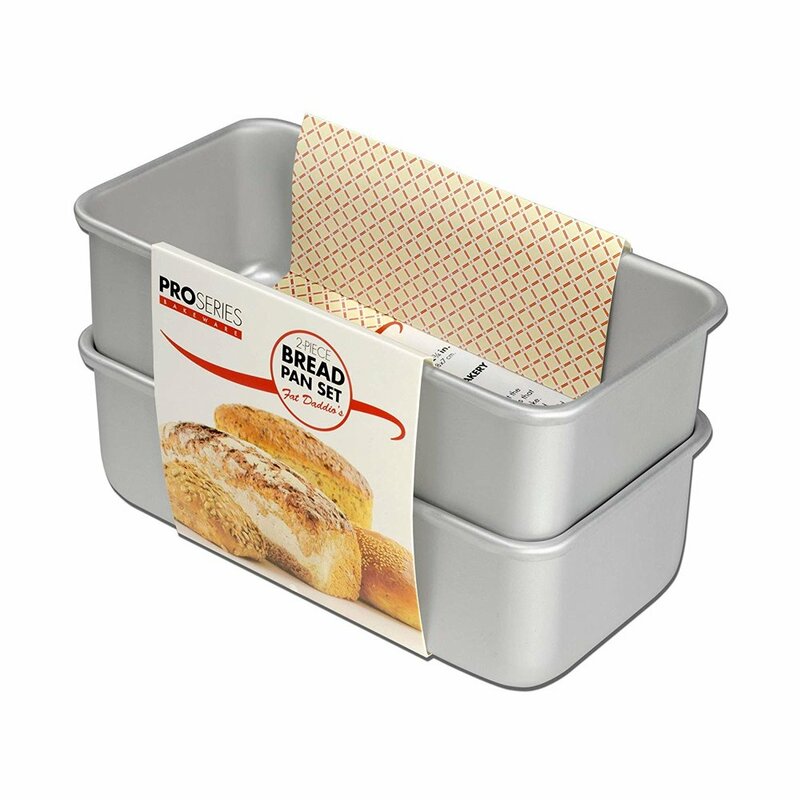 If the bread needs more time, re-cover the pan with foil, place it back on top of the steamer rack, and select the Pressure Cook setting at high pressure and cook for another 5 minutes; allow a natural pressure release for 5 minutes before performing a quick pressure release. Once the bread is cooked through, sprinkle the top evenly with the Walnut Streusel and allow it to cool in the pan for 10 minutes on a wire rack. Then remove the bread from the pan and cool for another 10 minutes on the wire rack before cutting into slices.